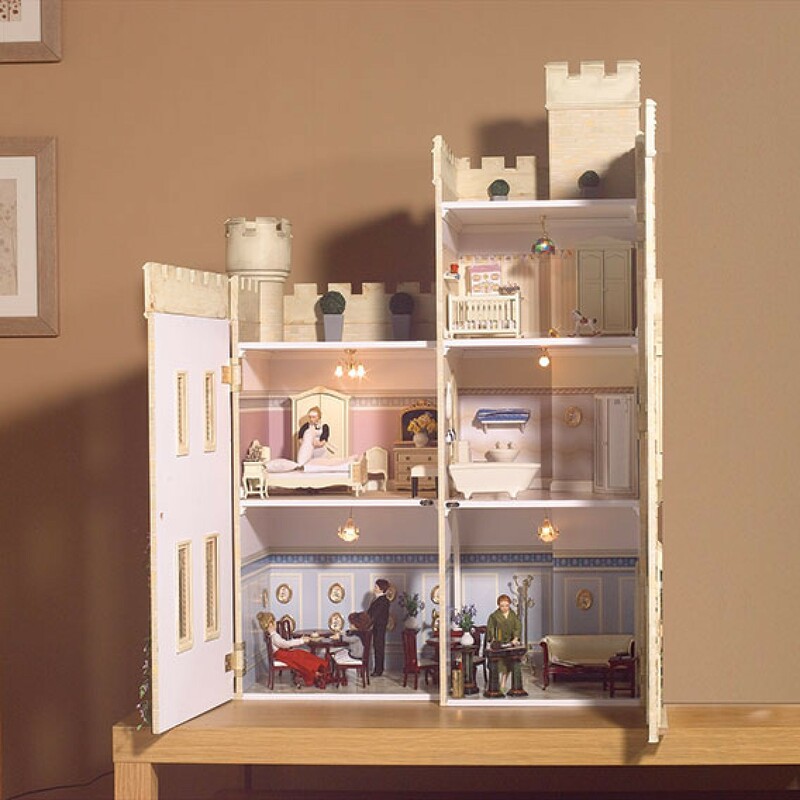 38" x 26" x 17"
Cumberland Castle has a charm unlike any other dolls' house. From medieval manor to modern country retreat, you can style it as you choose. Its long and courtly dining room offers the new owners (perhaps a rock star in need of a rest or a perhaps a great hall for a noble fictional family, the Starks maybe?!) a stunning setting to impress all their friends and allies. 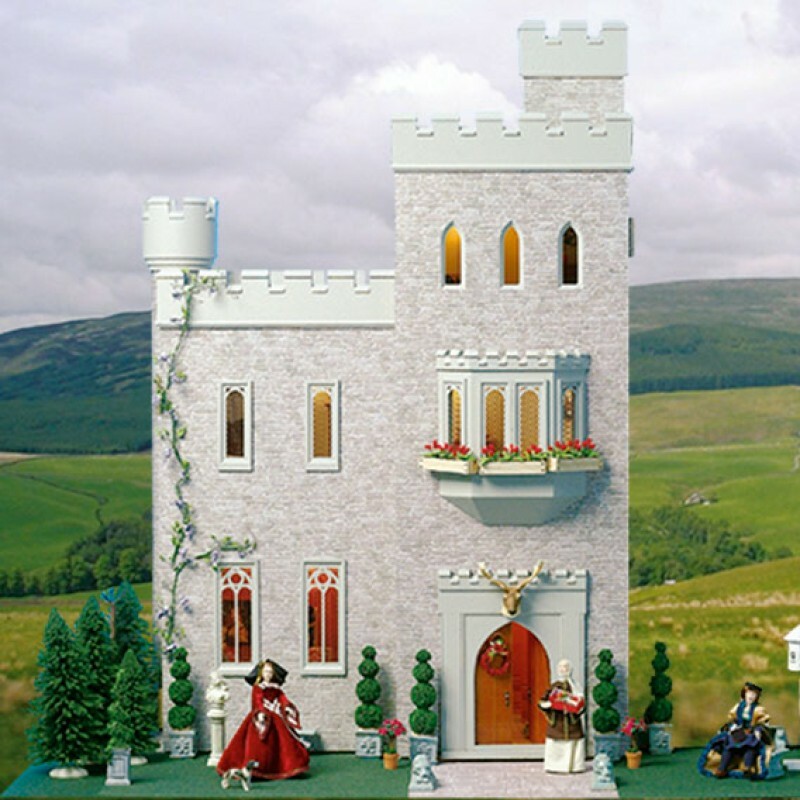 Featuring two roof terraces and beautifully complemented by the East Wing - item 1639, this dolls' house offers five rooms over three floors, including the highest room in the tallest tower for all your fairytale needs! 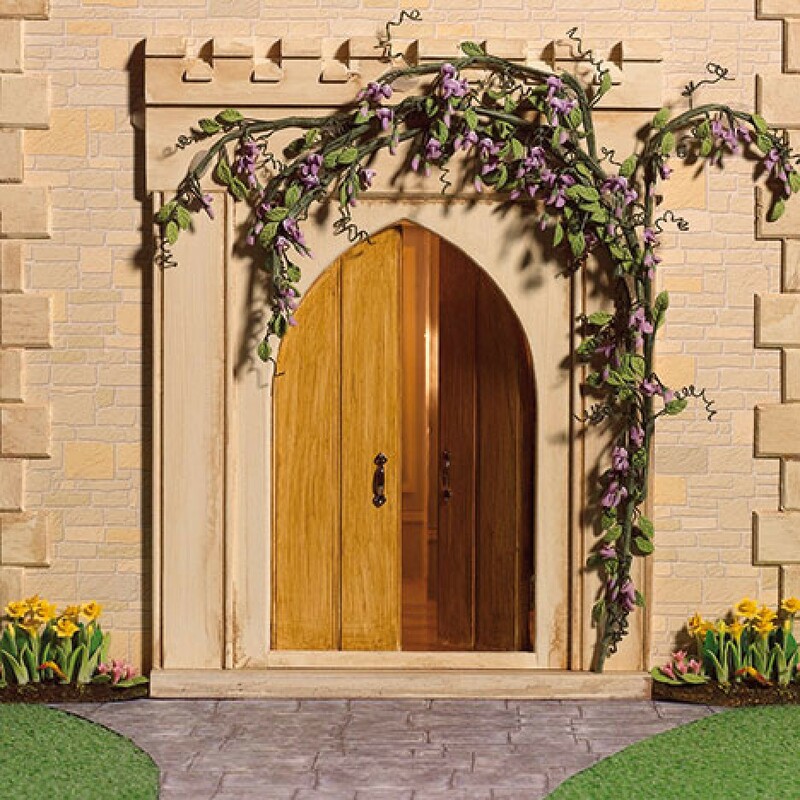 - Perfect for medieval and fairytale story setting. - Five large rooms with two battlement areas. 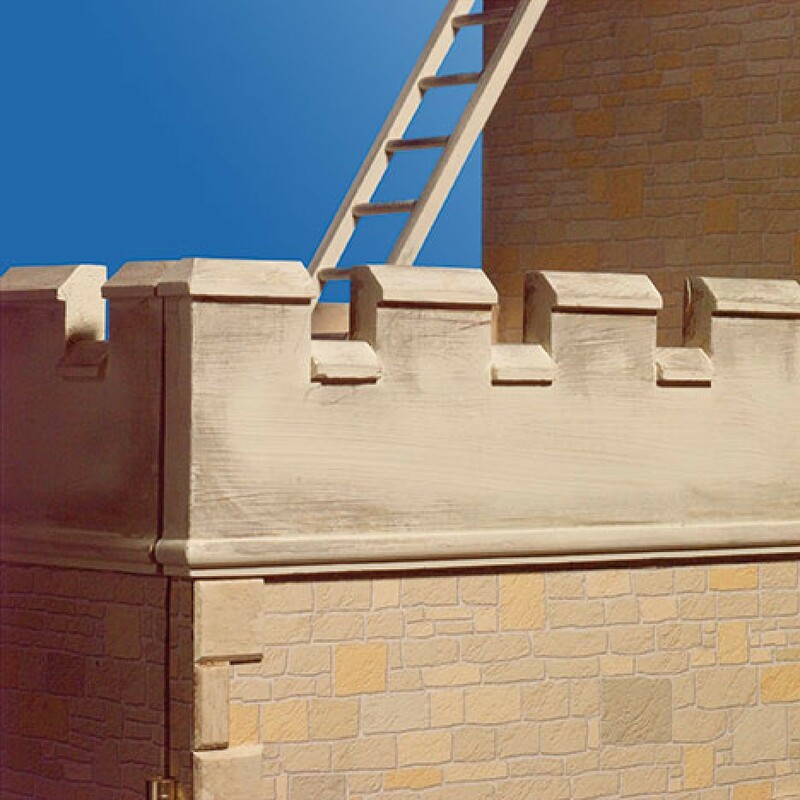 - ‘Stone’ mullioned windows and a sturdy fortified entrance door. - Turrets and a lookout tower. - Internal door on first floor. - Simple construction; all windows and doors are pre-assembled. - Enhance with lighting or The East Wing.